I opened my pool few weeks ago and am happy to report that after all the partial draining and refilling I did over the winter, my CYA is finally in a good spot at 35ish (from at least 200!). But, my fill water TA tests at roughly 240ppm give or take (managed community well) and I'm slowly getting it down and controlling my Ph. I have been adding acid every night and am watching the TA slowly decrease, and I am now at 130 from 240. I became owner of this pool last September and it's very evident that previous owners did not follow TFP methods. I have a lot of white calcium scale on all the tile and rock waterfalls. My question it this: after I finally get the TA in a good spot and my Ph no longer rises a bunch everyday, will I be able to affect the water chemistry to try and reverse the calcium build up? Is that something that can even be done? I have already tried scrubbing some of the tile with pumice and pressure washing, but neither has made any difference. Will adding fill in the heat of the summer mess everything up and I'll just have to constantly add MA to control the TA and Ph? Here are my test results from last night. will I be able to affect the water chemistry to try and reverse the calcium build up? Is that something that can even be done? That is an unknown I'm afraid. You can try to maintain a slightly "aggressive" water by keeping your CSI on the lower side (-0.3) and working vigilantly by brushing each day. 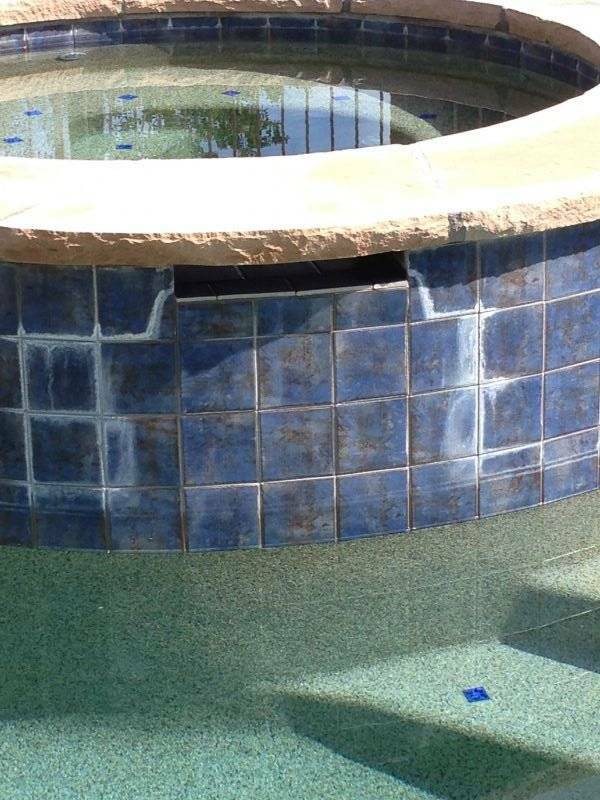 But the results are not predeictable or necessarily consistant across the entire pool surface since plaster can react differently across the pool. At some point you may need to consider a traditional acid wash or perhaps a no-drain acid wash. Either one removes a very fine layer of scale and plaster, which depending on how it was applied can reduce the plaster life by ~ 5 years, but it's an option. 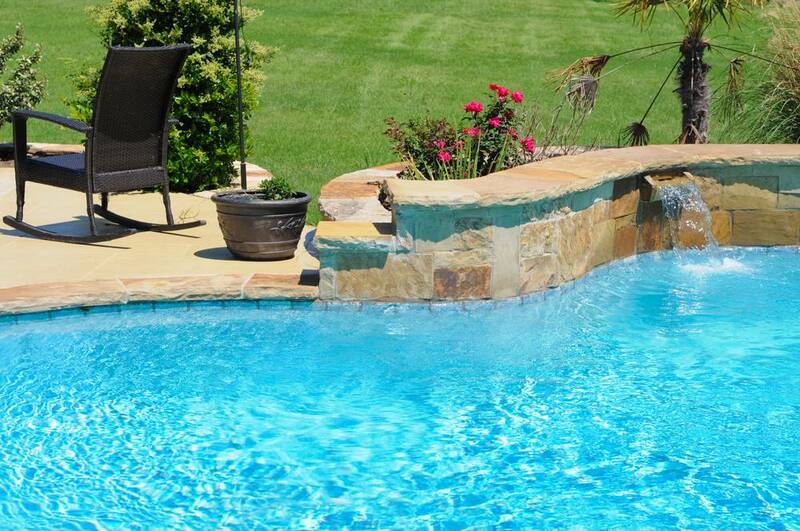 The age of your pool may be a consideration as well. For now though, keep working that pH. Since your CH is fairly good and your TA still high, lower the pH to about 7.2 then aerate if needed to rise it back up. Eventually you should get that TA in a little bit better place. If you're not familiar with the CSI term, look for it on the PoolMath tool or app after you load all your levels - to include water temp. You can also find it on the Pool School view all page. In your situation, I would try to keep that CSI between -0.1 to -0.3. You may want to see if there is a service that does kieserite blasting in your area. That is one of the best ways to remove calcium buildup. I would go more aggressive on your water chemistry to try to dissolve the calcium scale. CSI at -0.8 to -0.9 should help and also brush often with a metal pool brush.